If you have taken out student loans to fund your post-secondary education, you may be entitled to federal and provincial tax credits that can reduce the overall cost of your student loans. The true cost of student loans is not the state rate of the loan but rather the after-tax cost of borrowing. Student loans that were advanced under the Canada Student Loan Act, the Canada Student Financial Assistance Act, or a similar provincial or territorial law may entitle you to a tax credit for the portion of interest you paid in the loans. If you obtained a loan to fund your education directly through your bank or received a loan from your parents, you will not be able to claim the interest as a credit. In addition, if you consolidate other loans with your student loans, you will lose the special tax treatment. What Is The Tax Credit Worth? At the federal level you will receive a tax credit of 15% of the interest paid on your student loans and the provinces offer similar credits. The value of the credits reduce your effective rate of your student loans. For example, a resident of Ontario with a student loan with a stated rate of 7.5% will be entitled to tax credits totalling 15% federally and 6.05% provincially. 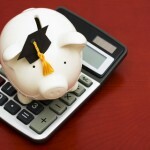 The credits reduce the cost of borrowing by 21.05% and the after-tax interest rate on the student loan is only 5.92%.